2017 was such a big year for me that it is sad that it is coming to an end. 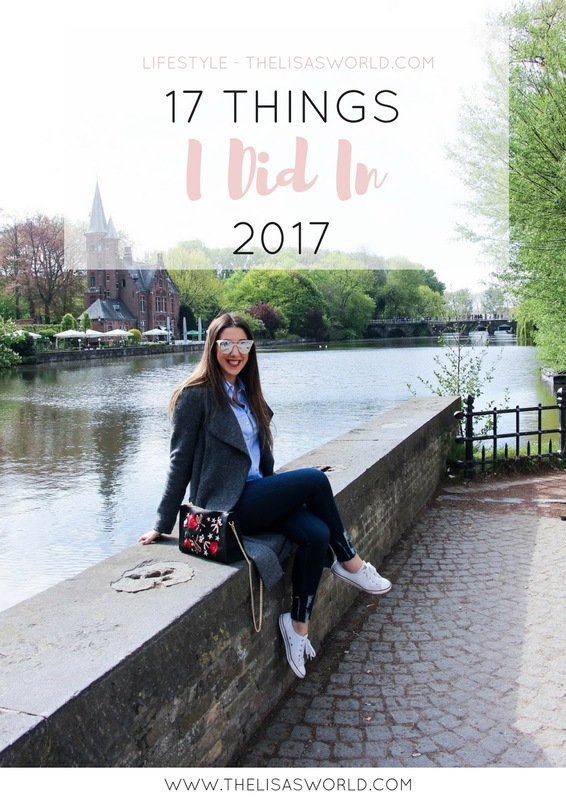 But I know that 2018 will bring me even more amazing things and it will definitely be an unforgettable year but for now let’s do a little throw back and finish 2017 here on the blog by remembering 17 amazing things that happened in my life in 2017. It isn’t every year that I get to go back home to spend it with my family but that was how 2017 started this time. 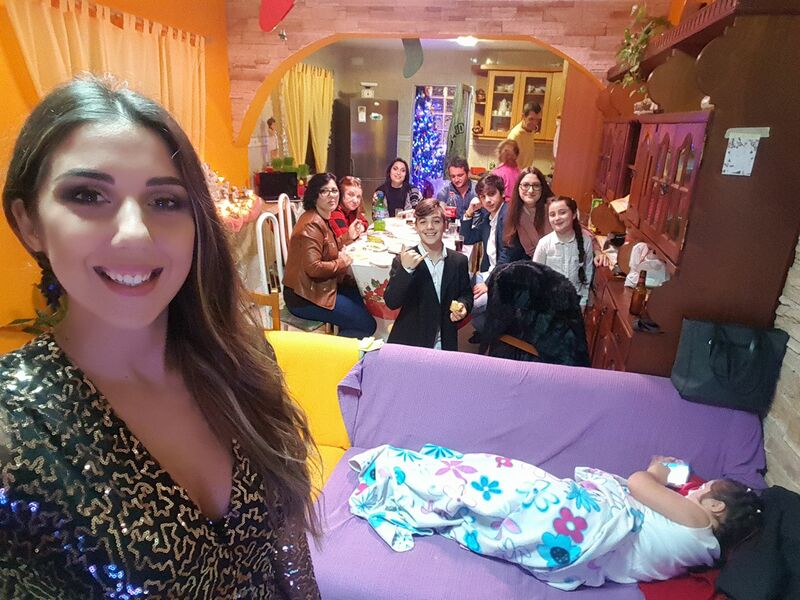 I was lucky enough to put a few days off together and travel back to Madeira to spend New Year’s Eve and day with my family and it was just like the old times. I loved it and wished I could do it again this year. Maybe next time! Since I came to the UK I wanted to join a gym but never wanted to do it on my own. It took a long time until I convinced my other half to join the Village Gym with me and I still don’t regret that decision. I admit that there are months where i don’t go as frequently as I would like mainly because of my shifts but when I go, it feels great! I feel much better with myself and much more confident, even if the changes aren’t noticeable to other people’s eyes. I gave always wanted to remove a stupid tattoo I did when I was around 15 years old on my ankle (very long story) and 2017 was the year where I finally had the courage to start this long, endless journey! Yes, endless. I feel like there is no end to this but I am hoping it will all get sorted before the wedding. Fingers crossed. Late 2016 I gave my notice. January 2017 I started on a new ward as a nurse and in May I became a ward sister. It has been a very challenging post but very rewarding too. It is still a secondment but hopefully by 2018 I will have a permanent position. We will see! Another highlight of this year was our trip to Burges. All a big surprise as I didn’t know where we were going until I got to Manchester Airport. My boyfriend booked everything and only told me to pack for the same weather as it was in the UK at the time and that was what I did. We flew to Brussels but that wasn’t our first stop. 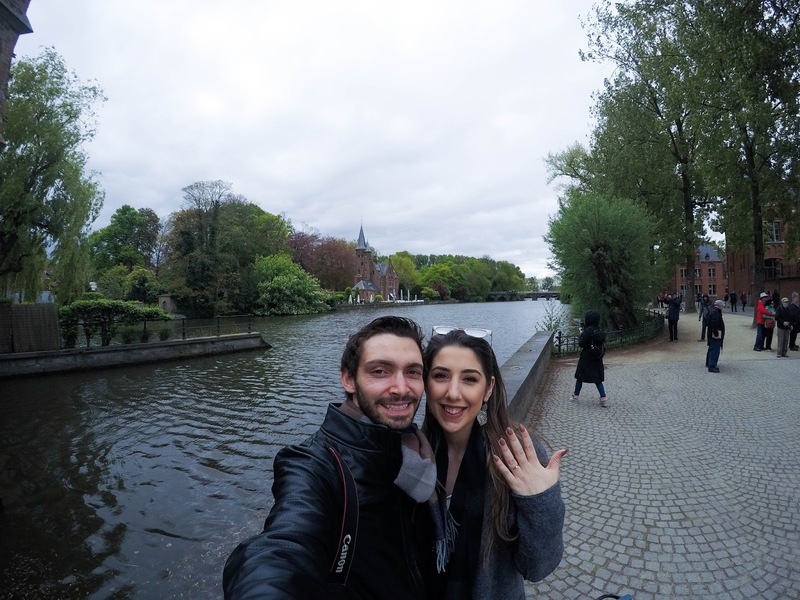 We got a train and ended up in Bruges and then the biggest surprise happened. Watch our little vlog of this trip here. We got engaged!!! And I couldn’t believe it. We had travelled to Rome previous to this and I had high hopes back then. When it didn’t happen I was a little bit disappointed and promised myself no to expect any more. 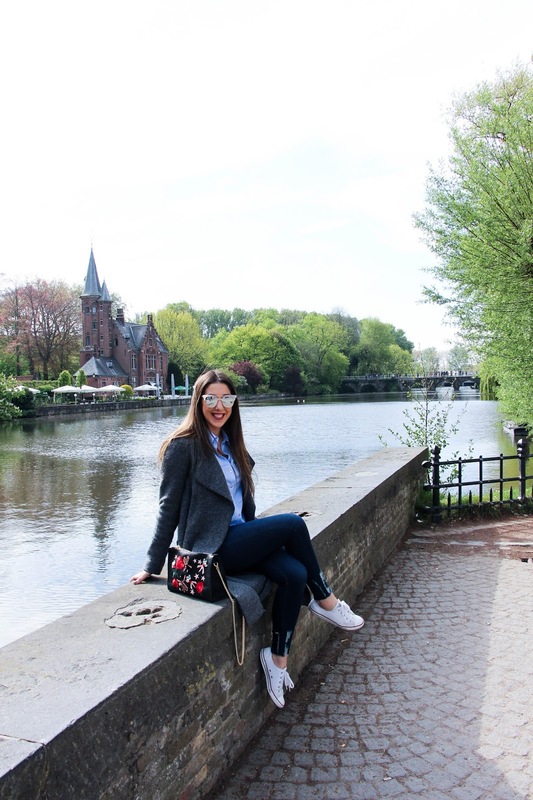 It would happen whenever it had to happen and Bruges was the place, on the 30th of April 2017. It was such a special moment, I smile just thinking about it. Read all about the proposal here. Straight after a couple of days in Bruges, we went to Brussels and spent another few days there. This city was beautiful, I fell completely in love with it. I hope to go back one day! It is so difficult to find the perfect wedding venue, let me tell you! You looked at so many online to then cut it down to a few. Visited them and didn’t like any. Then it is like a miracle happens and a different one popped up and it had been refurbished. We didn’t have it in our options because we didn’t like the style and colours of the venue but with the new changes it was perfect! This girl has been my rock ever since I have met her and there is no other way I would walk down the isle without her. So I did ask her to be my maid of honour and luckily she said yes. 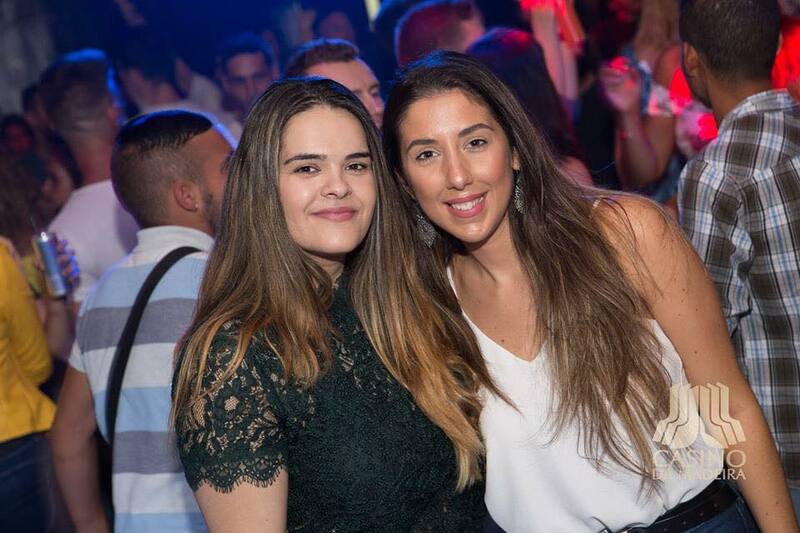 She had never met my family and I didn’t want for all of that to happen just at the week of the wedding and so she went with us to Madeira last August and we had such a great time! I feel so lucky to have her in my life. The golden island is this beautiful little place next to Madeira Island. It is only a two hour and an half away in a small ship and it is so worth it! Back in the days, I used to go there every single year. When I was around 17 years old, I spend quite an amazing time with one of my friends at the time. Sun, sea, food and party – that was all we used to do. I love this place, it is so peaceful and magical! The sand is so soft and the sea is so clear. Beautiful place. This year I got the change to go there for a day with my mum, brother, fiancé and Juliana (maid of honour). We had a great time and got home a little sun burnt. This was such a good holiday! 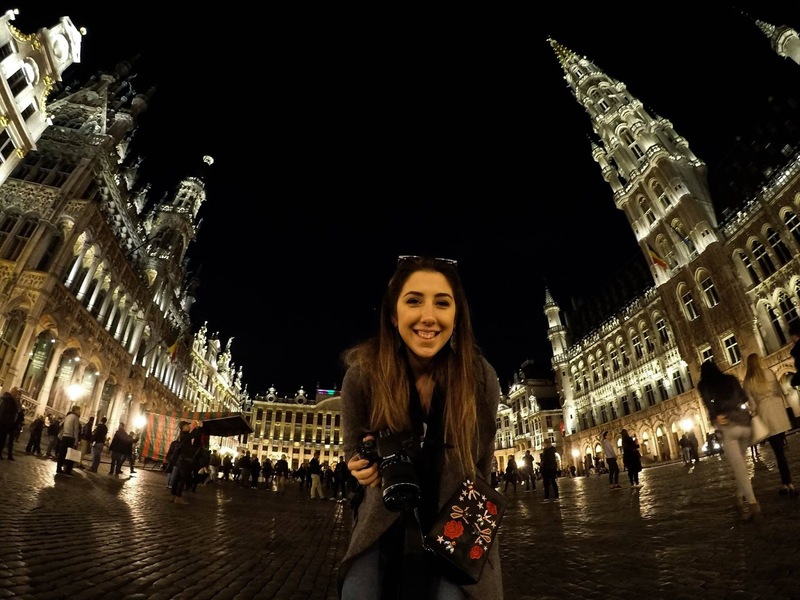 Normally, we travel to places with the aim of visiting loads of museums, get to know the culture and basically walk around every corner of each city. It is not a very relaxing trip, although I love it so much. We went to Rome in 2016 and it was amazing but I was so, so tired every day and even more tired when I got back to work! 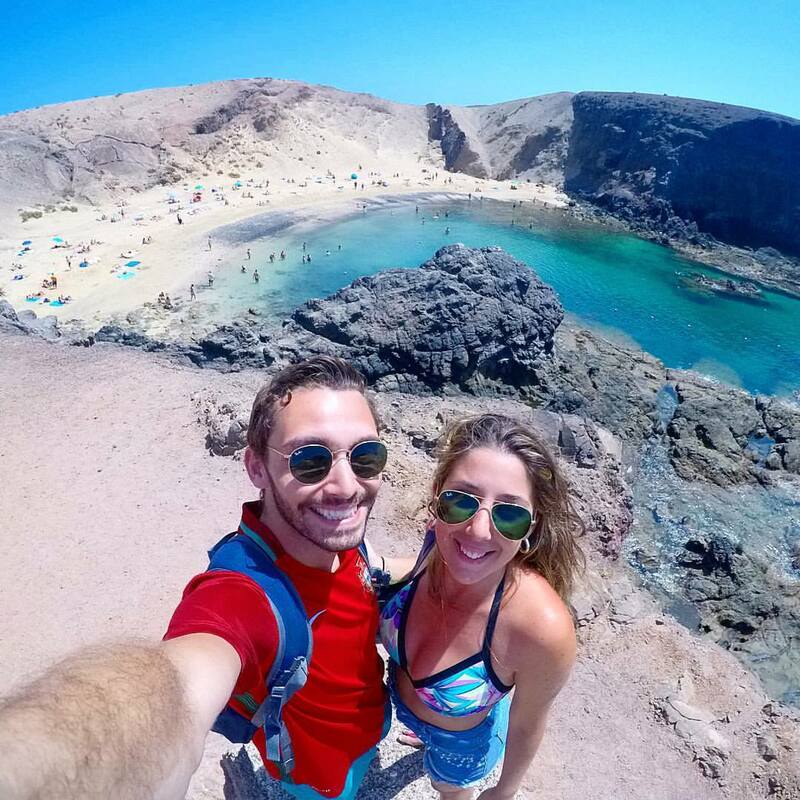 This trip to Lanzarote was completely different. It was all with the goal of relaxing, getting a nice tan, eating lovely paella and drinking a few pints or piña colada. It took us two days and many failed attempts but we finally managed to design and print our own wedding invites. It is so nice to have something that we did together for our own wedding, it makes everything so much special! MUM CAME TO ENGLAND FOR HER BIRTHDAY. I can’t remember the last time I got to spend my mum’s birthday with her. 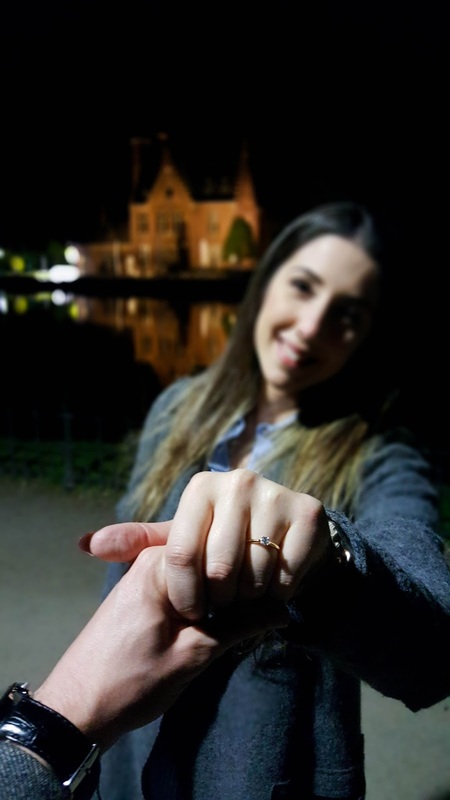 The one bad thing of moving abroad is that you get to miss all those special moments and this year I was able to share this day with her as she came to the UK for a few days. We have a very special day – went to Liverpool to do some shopping, had a nice lunch and walk by the docks. It was a very special day. BOUGHT MY WEDDING DRESS (& MY MUM WAS THERE WITH ME!). 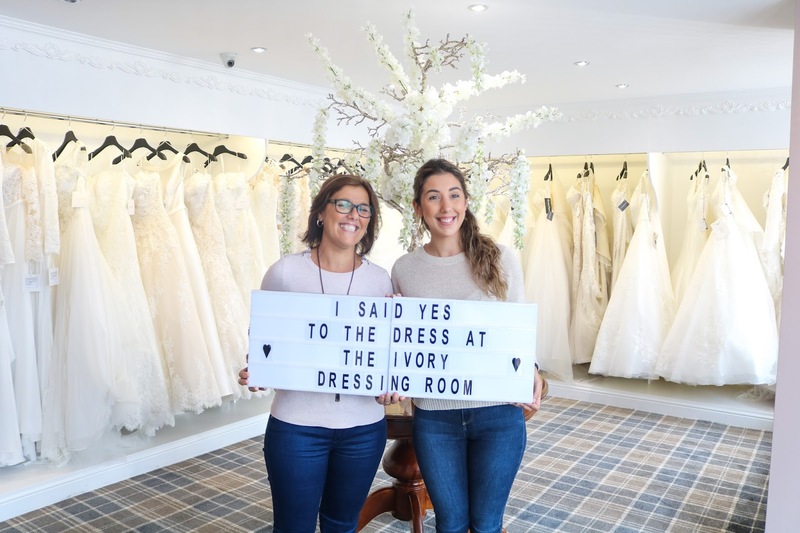 This was probably the most special day of all year – the day where I bought my dress. You can read more about the experience here. 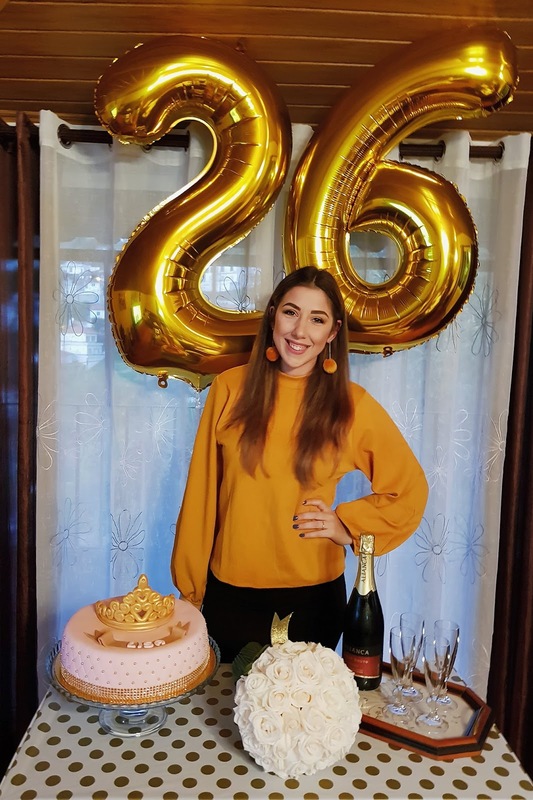 It was super special because I was able to share this day not only with my closest friends but also my dear Mum that managed to come from Portugal to share this beautiful experience with me! This is no different from the past few years – we always go back home to spend my birthday apart from the first year we where here. I always have such a great time and 2017 was no different. I just spent a little bit more time thinking about balloons, decorations and the cake! How lovely was it? So girly and it tasted so, so nice! And finally the last exciting thing we did was going to Manchester Christmas Markets with our friends. We had a great time and it filled us with the Christmas Spirit we needed. We try to go every year, it kind of became our little tradition and I love it. 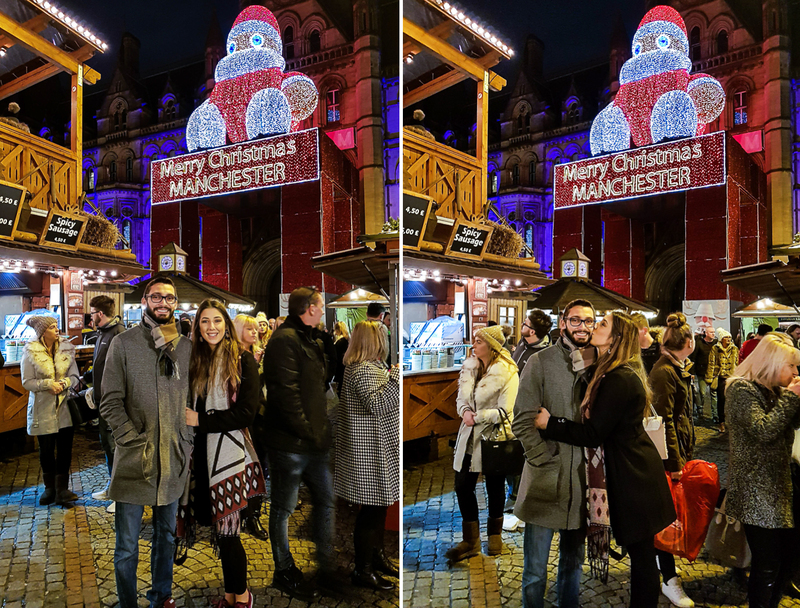 Read about our day at the Manchester Christmas Markets here. And these were the highlights of this year. I am sure 2018 will be full of many amazing adventures and surprises. What was the best thing that happened to you this year?